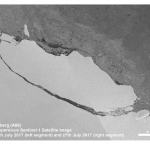 According to a new study by Nasa, Antarctica’s Larsen B ice-shelf is on course to completely disintegrate within the next five years. “These are warning signs that the remnant is disintegrating,” said Ala Khazendar of Nasa’s Jet Propulsion Laboratory (JPL) in Pasadena, California. The data for the study was collected by aircraft which measure ice surface elevations and bedrock depths and space-based “synthetic aperture radars” that have been operating since 1997. The Larsen B ice shelf is currently 625 square miles in area and 1,640ft at its thickest point. 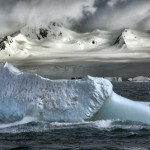 The research has shown that two of the three glaciers feeding Larsen B have sped up dramatically since the shelf split in 2002, with scientists now predicting that a major crack is likely to move all the way across the shelf, splintering the remnants into icebergs that will float away. 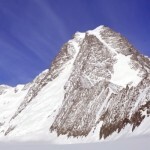 The scientists fear that the cracking of the shelf could see the three glaciers – named Leppard, Flask and Starbuck – accelerate rapidly towards the ocean. 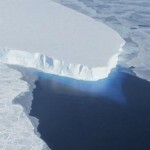 “After the 2002 Larsen B collapse, the glaciers behind the collapsed part of the shelf accelerated as much as eightfold – comparable to a car accelerating from 55 to 440mph,” said a Nasa release on the study published online in the journal Earth and Planetary Science Letters. 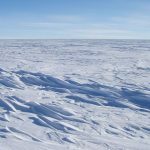 A huge section of Antarctica’s ice shelf is rapidly thawing, according to a new study by the U.S. National Aeronautics and Space Administration. 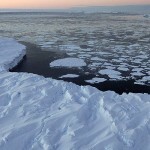 Scientists say the loss of ice from polar caps is slowly but steadily raising the level of the Earth’s oceans. VOA’s George Putic has details. In any two days, human beings create as much information online as it took our species to create in the 30,000 years between the dawn of cave painting and the year 2003. In another 10 years, that same amount of information will be generated in less than one hour.